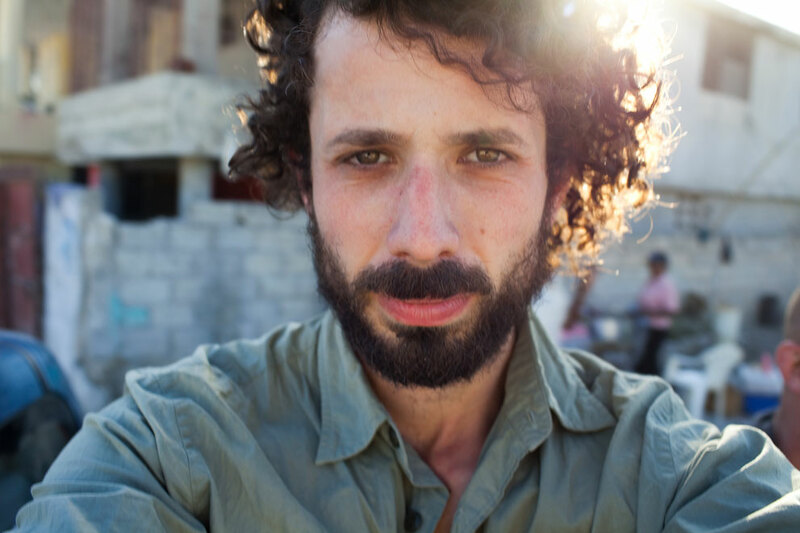 Evan Abramson is an award-winning filmmaker and photographer born in New York City. Together with his wife Carmen Elsa Lopez, he writes, directs, shoots, edits and produces. In 2010 they formed Cows in the Field, a production house focused on telling the stories of people impacted by environmental crisis around the globe — and on finding solutions. Their 2011 documentary Carbon for Water has won nearly 20 film festival awards. Evan’s 2010 multimedia documentary When the Water Ends won First Prize at the 2012 World Water Forum and was nominated for a Webby, a World Press Photo Award and was a finalist in the Online Journalism Awards. Evan’s photography has been published in National Geographic Adventure, The Atlantic, The New York Times, The Washington Post, The Guardian Weekend Magazine, FT Weekend, The Sunday Times, Du Magazin, Yale Environment 360, NACLA: Report on the Americas, The Progressive and Courier Japan. He holds a Monroe Fellowship from Tulane University for his work on a new film Last Stand on the Island. His photography and multimedia installations have been exhibited at the MAC (Contemporary Art Museum), Santiago, Chile (2011), Noorderlicht Photofestival, The Netherlands (2010), Rayburn House Building, United States Congress, Washington, DC (2010), Vox Populi Gallery, Philadelphia (2009), Washington Square East Galleries, New York City (2009), The National Museum of Art, Bolivia (2008), Kiosko Gallery, Bolivia (2008), SIART Biennial, Bolivia (2007), FotoEncuentro Photography Biennial, Bolivia (2007), The National Museum of Ethnography, Bolivia (2007), The Ricardo Palma Cultural Center, Peru (2006), William Siegal Galleries, Santa Fe (2005), Art for Change, New York City (2005).